Sit on the bike or put backpack leave the worries behind and enjoy the real life adventure !!! Thanks to the excellent trails and old mountain roads, the world's leading magazine for Tourism and Culture NATIONAL GEOGRAPHIC declared Bosnia and Herzegovina, the most desirable destination for adventure tourism in the world. Nature Park BLIDINJE just one small but very important and attractive part of the story. This beautiful destination that is now often called HERZEGOVINIAN ALPE is situated in the central part of the high mountains of Bosnia and Herzegovina, and covers an area of 364 km2. The central part is dominated by a long field (about 1200 m / n / v) with Blidinje lake. 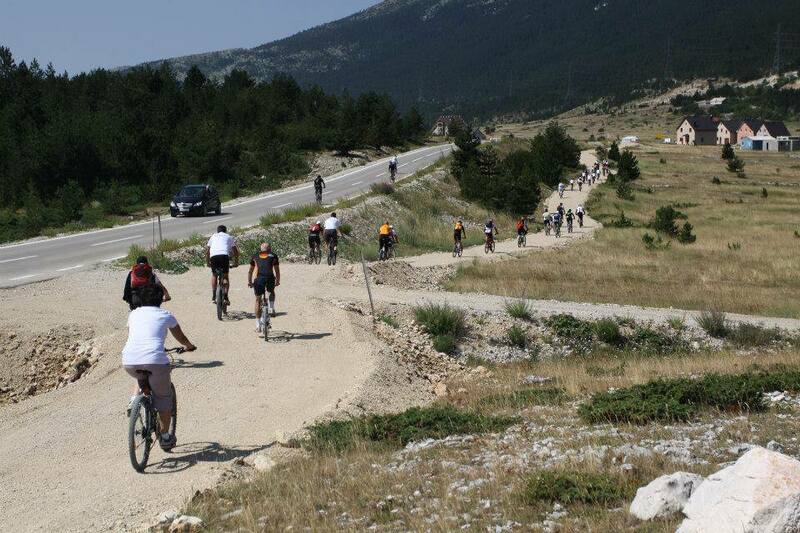 The western border is Vran mountain (2074 m / n / v), and the South River Neretva and Cvrsnica (2228 m / n / v). Due to over 300 km of mountain trails and pristine pure nature you have the opportunity to enjoy mountain biking and hiking popular events that raise the adrenaline, allow sightseeing and provided nice socializing. Let us be your guide to responsible mountain adventure you will always remember!